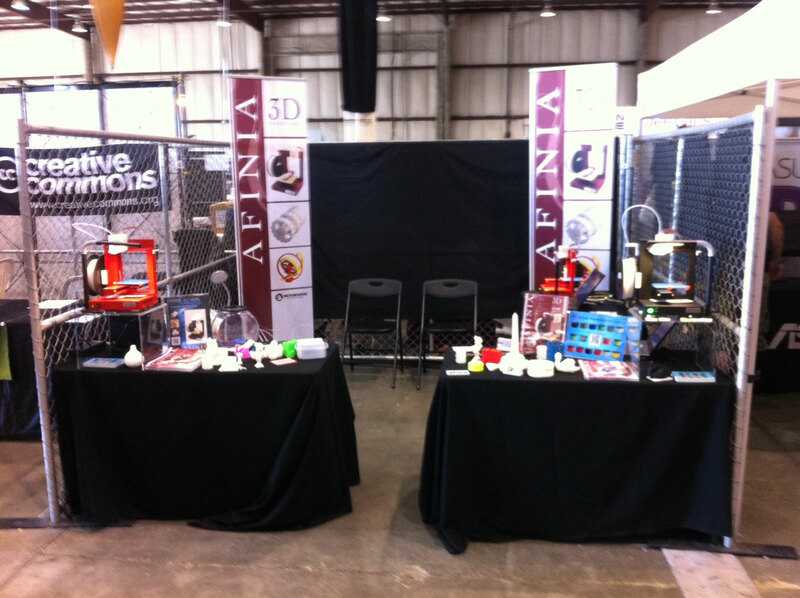 Afinia was showing the 3d Printer at Maker Faire last weekend in San Mateo. Here’s the booth, after hours. What an exhausting show! 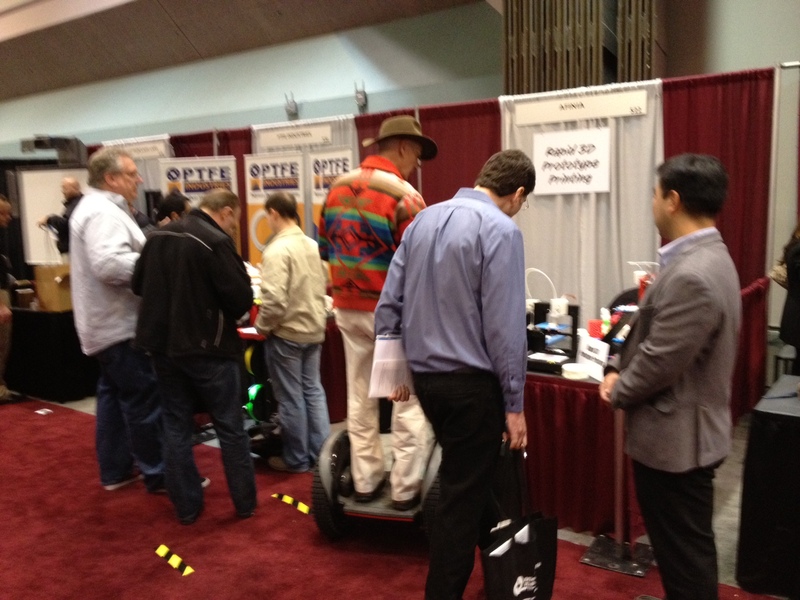 The star of the Design-to-Print show in Santa Clara, California this past week was the Afinia H-Series 3D printer. Hundreds of people were stopped in their tracks by the H-Series’ compact footprint and even more compact price of $1,495. With a printing envelope of just over 5 inches cubed, and a resolution of .2mm (8 thousandths), The H-Series was kept busy showing off its abilities for two days of non-stop fun!